There is no denying a fact that riding a bike happens to be one of the best forms of exercise, given its numerous health benefits. 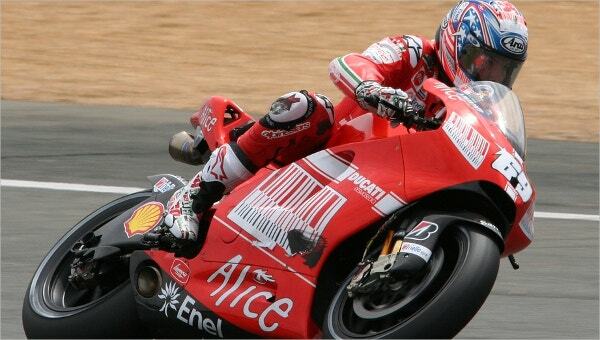 As a matter of fact, there are several bike riding enthusiasts who take this up as a profession, not just a mere hobby. You may also like Well Designed Certificate Templates. For them, various marathons and tournaments are organized from time to time. In such cases, the winners and the other participants of the tournament are handed over certificates. 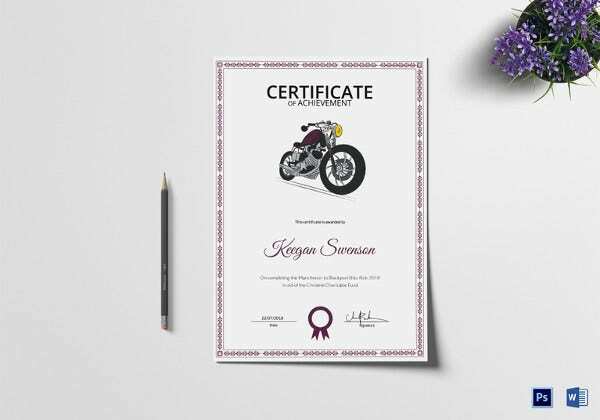 To design such a certificate, you can use the following templates. You can also see the Certificate Template. This template may be used as a participation certificate. The use of the colour scheme of blue and black makes the template look stunning. Plus, it is 100 % editable as well. In order to award someone or recognize someone’s achievement in bike riding, this certificate may be used. With a formal layout, a well designed and organized structure and customizable elements, this template is quite a catch. 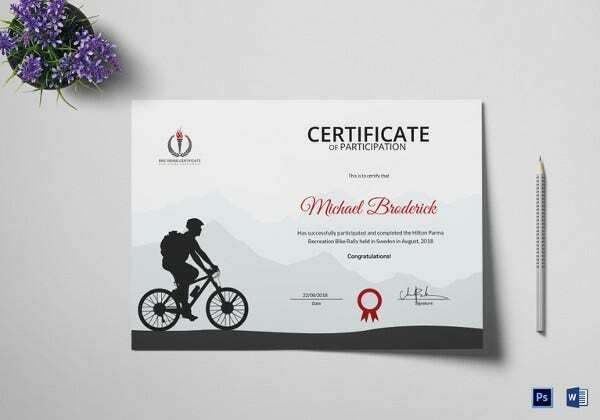 This template would be more apt for a bike riding marathon or tournament and can be used as a participation certificate. It consists of a simple and sleek design that looks attractive. This template comes with stunning images that are sure to give you an adrenaline rush. Plus, the sleek border makes the template look more corporate. It is supported in a word format. One look at the template would give you an idea of what it is all about. It consists of a very vintage kind of theme and that adds to the charm. > Who can use the Bike Riding Certificate Templates? 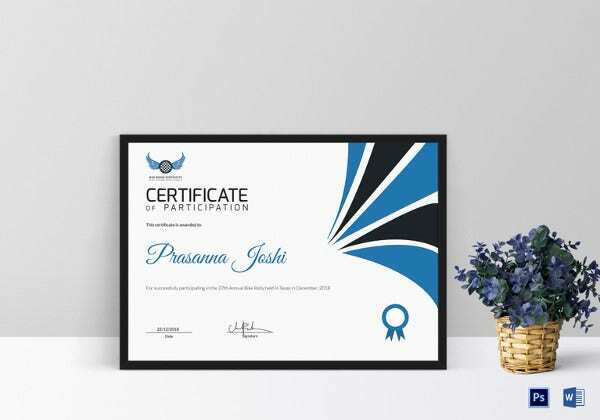 These certificate templates are highly specialized in nature and cater to a very specific purpose. Mainly, these certificates are handed over to people who have participated in bike riding competitions and tournaments. Thus, anyone who is in charge of organizing such tournaments would be able to use the certificate templates. They can download the template, add details of the participants and then print and distribute them. 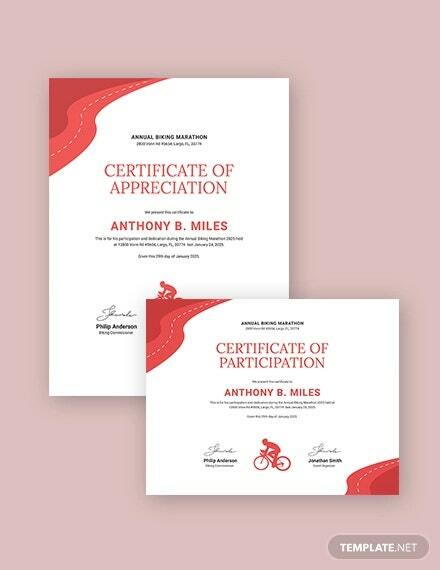 These bike riding certificate templates can be used both ways; they can be used to award or recognize the achievement of participants who secured a rank or can even be used as the consolation prize. 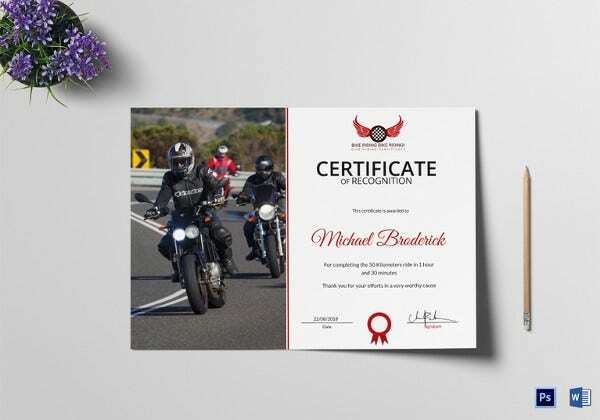 > Why go for Bike Riding Certificate Templates? These templates can be used in the word format. Thus, once you download the template, you can open it in word and then make as many changes as you want. You can even add details to your certificate. These templates all abide by the standard accepted format of a certificate and would be easy to use. They are devoid of excessive and flashy design and are precise and to the point. These templates come with free images and fonts and a print ready format as well. All these bike riding certificate templates can make your work ten times easier. Especially if you are printing certificates on a mass scale, you will find these templates to be fairly easy to use and less time consuming. All you have to do is select the right template for yourself.